A First Time For Everything - Mike Pouch! The tale of the first deal ever made with the devil comes to the comic book page! The debut release from The Horizon of the Unknown, written by Benton Feight with illustration and lettering by Mike Pouch. DRM-Free download includes your choice of JPEG, PDF, or CBR! The JPEG and PDF versions are also available as single page layouts or double page spreads! Don't know which to download? Click here! Download also includes a 40-page Bonus Content PDF including Benton's original script, a pencil-only version of the comic, and Mike’s original sketches, page layouts, and notes. This is great for aspiring illustrators to see the changes from script-to-comic and the process that went into illustrating the finished work! Click here to return to the MP Store. The tale of the first deal ever made with the devil comes to the comic book page! Written by Benton Feight with illustration and lettering by Mike Pouch, it’s the debut release for Horizon of the Unknown! Originally created as part of Rebel Line’s anthology, Five Deals One Devil, it was one of the six short stories about desperate individuals selling their souls for deep desires. DRM-Free download includes your choice of JPEG, PDF, and CBR! The JPEG and PDF versions are also available as single page layouts or double page spreads! Don’t know which to download? Click here! 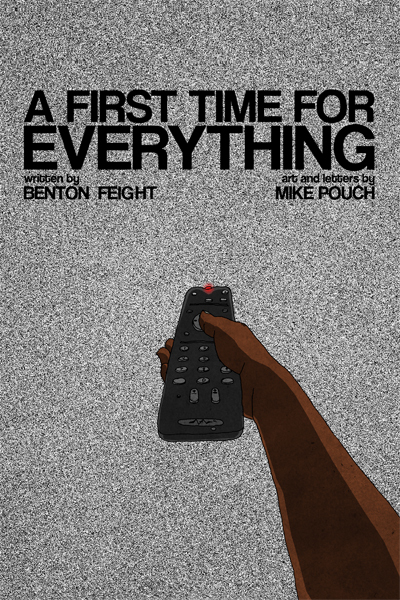 Download also includes a 40-page Bonus Content PDF including Benton’s original script, a pencil-only version of the comic, and Mike’s original sketches, page layouts, and notes. This is great for aspiring illustrators to see the changes from script-to-comic and the process that went into illustrating the finished work!